Hayley Paige is a new, fresh, bridal line at the JLM Couture. 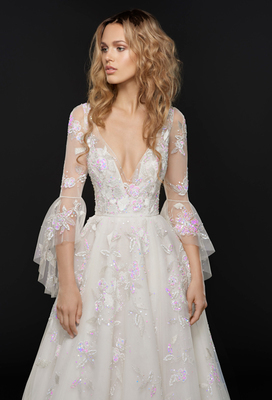 In discussing her design approach for the first season, Ms. Paige said: “My silhouettes emphasize each bride’s unique style.. this collection is an opportunity to romance the sweeter side of femininity, from the quirky and charming to the fun and fabulous." Hayley Paige are exhibiting at The Harrogate Bridal Show, 9-11 September 2018, Stand C24/40.